Posted on June 18, 2014 by revivewa	in Opinion, Reviews. William Emilsen is deeply committed to collecting observations about, and recording the history of, the Uniting Church in Australia (UCA). He was a founder of Uniting Church Studies, and earlier edited the collections Marking Twenty Years (1997) and The Uniting Church in Australia: The first 25 years (2003). 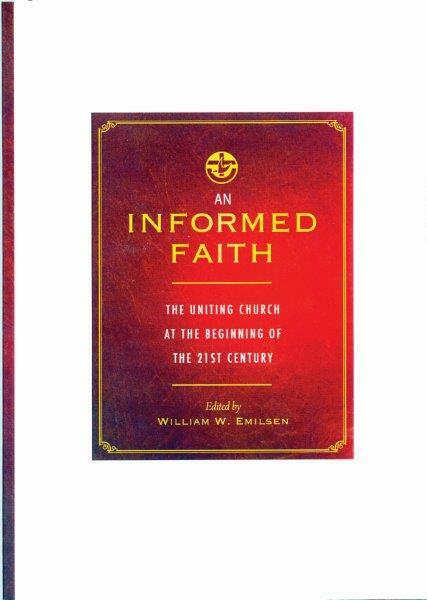 An Informed Faith has chapters on spirituality, ministry, scholarship, The Basis of Union, management, politics, Uniting Church schools, ecology, the Uniting Aboriginal and Islander Christian Congress, living cross-culturally, other faiths and evangelical and progressive Christianity. Authors include Ian Breward, Chris Budden, Tony Floyd, Katharine Massam, Marion Maddox, Michael Owen, Geoff Thompson and Val Webb. There is no single thread holding together these differing topics; however, there is material for a variety of audiences. WA locals may find Michael Owen’s chapter interesting. Michael includes historical observations, critical comments and polemic in a discussion which considers the reception of The Basis of Union, including whether it has been given its rightful place n the UCA; the 2009 Preamble to the UCA Constitution; and UCA polity and structures. This book is a significant contribution to reflection on the Uniting Church. It is a timely opportunity to consider our past and future as we celebrate our 37th anniversary.